We are the eminent Manufacturer, exporter and Supplier of highly functional Empty Beam Trolley. 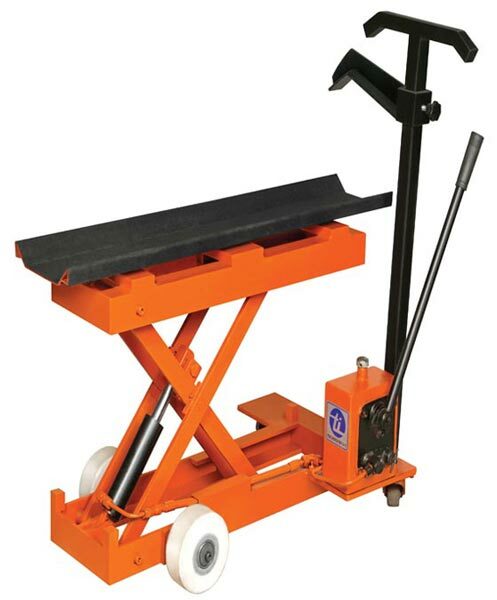 Our TBE - 105 Empty beam Trolley is extensively in demand amongst buyers owing to its exceptional functionality. It is used to lift & transport empty warper's or weaver's beam (floor to floor movement). Moreover, our Empty Beam Trolley is suitable for beam flange with dia. up to 1250 mm, beam barrel dia. up to 320 mm & beam weight to 300 kg.